I used to play a lot of softball when I was a kid. From elementary school through part of high school, I played short stop, catcher, and pitcher, on rare occasions. After the games, regardless of whether we won or lost, we would go out for ice cream or some other treat. Many times, we would visit the neighborhood Italian restaurant in my hometown where we would sit at a giant table in the center of the dining room, eating pizza, Italian fries (essentially pizza crust covered in garlic and gooey cheese), and drinking Coca Cola's flavored with various syrups. I used to order Vanilla Coke. Other favorites among our group were Chocolate Coke and Cherry Coke. Have you ever seen the red, syrupy concoction that goes into a real Cherry Coke? It is so thick and red and shamefully delicious for the first 2 or 3 sips. Not long after those first few tastes, at least for me, the familiar nausea that inevitably follows high sugar intake begins to take over. Teenagers must have a super power that helps them push through the sugar nausea so the entire beverage can be consumed. I can't even look a things like that anymore. Grenadine sometimes scares me a little. The same way the sugary syrups used to make Coca-cola drinks scare me. I think the main reason for this has been not understanding what it was. Is it red sugar water? Or something worse? It is supposed to be a syrup made with pomegranates. It doesn't have to be alcoholic. But I am quite certain it is not the stuff I usually see glowing red at me from a dusty shelf in the liquor store. 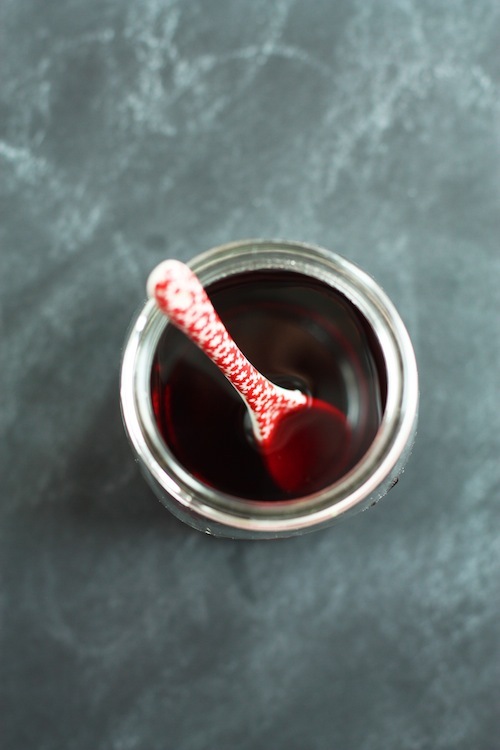 Fortunately, The Kitchn posted a recipe for homemade grenadine the other day. Obviously I had to give it a try. I used natural, unsweetened pomegranate juice, which, like unsalted butter does for saltiness in baking, helps you control the amount of sugar in the syrup. The first time I tried it I used brown sugar, which lent an appealing warm, nutty flavor but created a less appealing color. Part of the fun of grenadine is the color it brings to various cocktails, so I decided to try again using regular sugar. The result was much better. A day or two later, I also used the exact same method using natural, unsweetened cranberry juice. Success. And I almost like it more than the traditional pomegranate grenadine. The cocktail I made for this week could easily be made with either the pomegranate or cranberry versions. I used the cranberry because it had a more vibrant color. 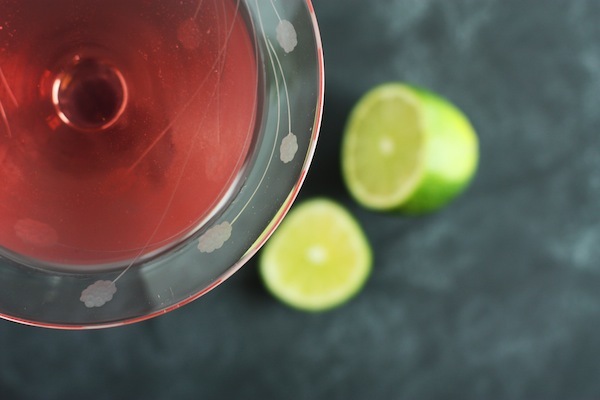 It's a delightful combination of silver tequila, lime juice, a touch of cranberry juice, and the grenadine. It is simple, and a perfect substitute for margaritas for Cinco de Mayo. I don't know about you, but I really needed a Friday like this one. The sun is out, the birds are chirping, and it feels as though Spring has finally arrived. Even though we might get a little snow next week. But let's not think about that right now. Instead, let's focus on the beautiful weekend ahead. Combine all ingredients in a cocktail shaker filled with ice. Shake for 30 seconds until thoroughly chilled. Pour into a cocktail glass and garnish with lime. Enjoy!